This topic contains 115 replies, has 15 voices, and was last updated by 72 Dudes 1 month, 2 weeks ago. If everyone lobbied their own MP then something would be done. If we stay silent then things will carry on getting worse. 50% ??? I’m not sure that’s true. I was under the impression that Motability do not have to pay any VAT on new cars. VAT makes up a fifth of the price of a new car. The £18,000 cost of a mid-range Vauxhall Astra (for example) includes £3,000 of VAT which would normally go to the government. Obviously Motability do not have to pay this. Not sure where you get 50% from… but I’m happy to stand corrected! I’m not sure where 50% comes from either, but I used get look after a companies small fleet (60 vehicles) and we got nearly 30% discount on two of the major volume brands under the assumption of placing orders for 3 vehicles per year so I expect with the volumes motability do 50% is a realistic figure. Under your example the £15k car (ex VAT) costs motability £7.5 to buy, obviusuly other costs such as insurance maintenance etc that they pay for which need to be covered from the payments we make. If you want to listen to two and a half hours of the latest Treasury Committee and Work and Pensions Committee on Motability held on Wednesday just gone (9th January 2019), it partially addresses this point. (It is split into 3 consecutive sessions, firstly the National Audit Office, then Motability Charity, then Motability Operations). The National Audit Office state that for a Motability customer, overall Motability is 40% to 44% cheaper than commercial schemes. Also, they operate with a 40% discount on the vehicles. This can be partly accounted for due to the very advantageous tax regime Motability operate under. However, over 10 years customers have allegedly been over charged by £390m solely in depreciation savings albeit this figure is later disputed and somewhat mitigated. For claims under £25k, Motability now self-insure. Only 36% of people eligible to use Motability, actually use Motability. Motability lose £3,800 0n every WAV on the scheme. There is an interesting mini debate over whether profits generated from disabled people should be ploughed into the Motability charity vice using these generated profits to reduce the scheme costs to the disabled customer. Sadly, this doesn’t really get answered, but is interesting never-the-less. I have noticed the Mitsubishi Outlander PHEV Juro being advertised new unregistered @ £31,349, considering Mobility Operation buying power and VAT free status why are they charging £3749 AP. In 2005 I suffered a brain injury which has left me with mental and physical disabilities. Unfortunately I do get confused and get things wrong, so I apologise in advance. We are going to have to change our Motability car in the next few months. That said we will be sorry to see our Volvo XC60 returned, unfortunately its not in the scheme anymore. Its been a fantastic car, never gone wrong, so comfortable and easy to drive with all the gadgets we needed. We had to make a decision which SUV to go for next. We narrowed it down to 4 models, BMW X1, Merc GLA, Volvo XC40 and Mazda CX-5. The BMW & Merc didn’t feel as roomy as the XC60, plus you had to pay for the extra’s. Disappointingly the XC40 was very expensive for the bottom of the range car and again you had to pay for the extra’s! So that left the Mazda CX-5 (petrol,manual,sport). We enjoyed the test drive, it gave as much room as the XC60 plus all the same gadgets and more, lovely design. Disappointing you had to work the engine at low revs, the info screen was a little on the small size and you had to pay £800 for cream leather (for some reason it has to come with a safety pack!). That said the plus’s out weighed the minus’s, so we’ve ordered a blue one which should be available in about 12 weeks. or for those wanting to explore having their own PCP you could do worse than checking out the established brokers. PCP would be based on the discounted price, and am I correct in thinking that for disabled users cars are VAT free? It was my understand that for the car to be VAT free it had to have been adapted in some manner to suit the needs of the disabled person. There are a number of items that are considered VAT free for disabled people we didn’t pay VAT on our loft insulation or the work on our on suite bathroom. Hi, Iv alway wondered about this VAT stuff, how do you know what is and whats not. 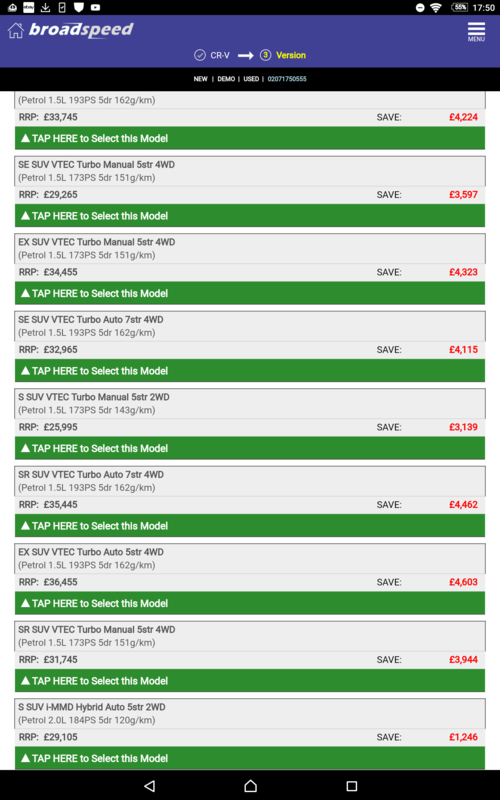 I am getting a PHEV and the Cables are expensive, would I have to pay the VAT on them? i have a Seat Ateca I collected in October, but dumbly I went for manual and my condition means I almost cannot drive it. is it much of a drama to admit I made a dumb choice? I have no idea about early termination of your current car – I’m sure more experienced readers will be along soon. As to a replacement car, in your situation I’d be looking seriously at a Kia Niro. Firstly it’s a petrol/hybrid and Automatic, which would suit your circumstances. Secondly, the ‘2’ spec is available with £0 AP currently, although I don’t think it has keyless go. The ‘3’ spec has all kinds of goodies for £799 AP but I think you need the ‘4’ spec for keyless go which is £1299 AP. Alternatively the Vauxhall Grandland X 1.2 petrol auto might fit the bill, I would imagine the top ‘Elite’ spec has keyless go, but please check. jl151080 on Next Car Decision – Fiesta Or Something Else? JS (justsaying) on Does this forum have a connection to motability? DBtruth on Next Car Decision – Fiesta Or Something Else? Macca on Next Car Decision – Fiesta Or Something Else? JS (justsaying) on Next Car Decision – Fiesta Or Something Else?